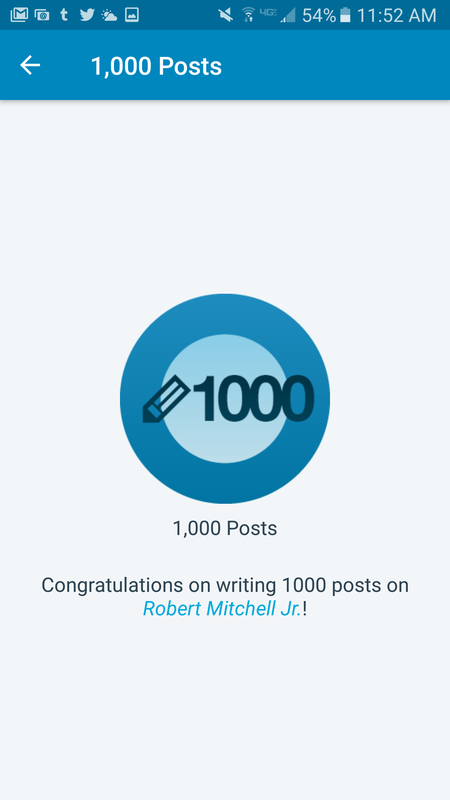 Dangerous Liasons | Robert Mitchell Jr.
How do you react when your blog is followed by someone whose viewpoint isn’t completely aligned with your own? What if he or she seems to be diametrically opposed? What if, for example, you identify as a political moderate, but you have a follower who’s an anarchist, leftist, alt-righter or conspiracy theorist? Do you follow back and stay friends? Before you answer — and I encourage you to do so in the comments below — consider the implications in a google-ized, Facebooky world. These apps put things in your news feed based on your history of “likes” and whonyour friends are. Apps contain algorithms that calculate your interests based on how much time you spend looking at certain images. And your profiles are public. Which means if you want to be able to influence them you have to be willing to allow them to influence you. You have to be willing to really share and communicate. I’m inclined to take my example from Hermes-Thoth, the interlocutor, ambassador and mediator. I follow an incredible range of blogs, some of which are written my folks whose views are often opposed to mine. I follow them because they follow me. There must be dialogue. But I confess I’m not immune to concern about what others will say, and I also worry that my incoming news feeds are being filled with negatively influential things. Are my feelings justified or irrational? This entry was posted in Writing and tagged followers. Bookmark the permalink. Only you can justify your own standards, though practicality ought to proceed preference in my personal opinion. That being said, I am not concerned with whether or not someone follows me back, or if they want to be my friend. I have only removed people from my WordPress Reader for one reason which is posting so much that they spam my Reader full to the point it gets in the way of the other content. I just unfollow them. Also, I do not follow back everyone who follows me. I will go have a look at their content, but I only follow if something impresses me. I follow about 70% of those who follow me, and I should note that I am followed by Christians, Satanist, Falt Earthers, and all manner of things I detest. I follow certain things I hate simply to keep my finger on the enemies pulse. I seek information above friendship, at least online. As for the Facebooky and Googlized world, I’m not concerned with that either. I no longer have any use for Facebook whatsoever, nor Twitter, I don’t run a Youtube, and I only use Youtube while logged out, and watch, listen, and download, though never to upload my own content. So far as a profile displaying my habits, I have no public profile, and the information gathered pertaining to my viewing habits will only display Mark Passio, David Icke, Alex Jones, Hermetic and Alchemical studies and things I have no desire to hide. Make no mistake, I do not agree with the machine recording everything I do and see, I just have no use for “social media” whatsoever, at least not the government ran NSA infested CIA microscope sort. I run a couple WordPress whereon I share articles from around the net, adding my own commentary from time to time. I am very pleased to meet people like yourself, and to make friends, and to learn from them, but I am not at all concerned with people not liking me or following my content. I do think this is a good question, and I hope that my own readers will answer it and share this post as well.